Move over açaí bowls. 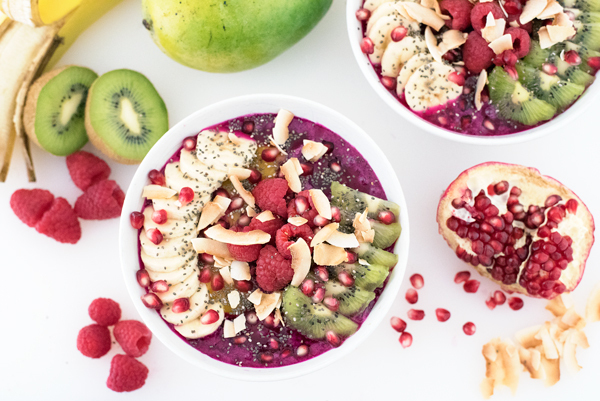 Pitaya bowls are the new thing in healthy smoothie bowls. And smoothie bowls are the new smoothies! With their bright pink color, they are nearly as pretty as they are delicious! 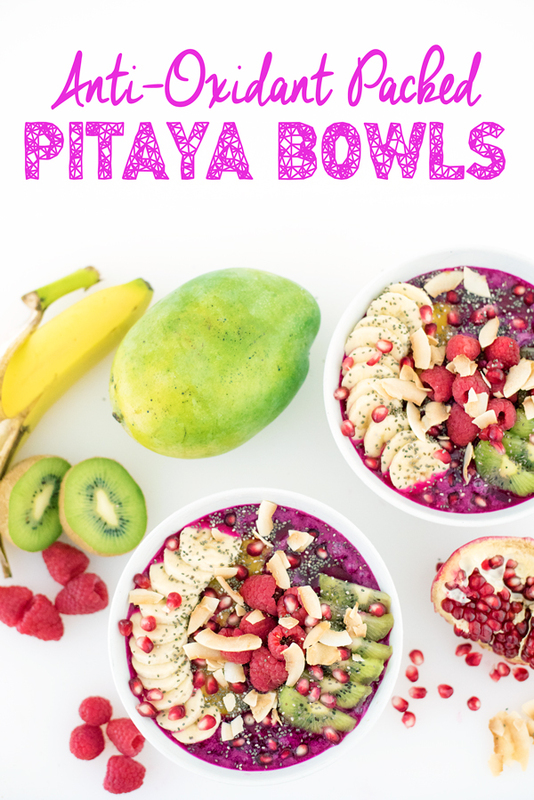 What is a Pitaya Bowl? If you’re wondering what pitaya is, it’s just another name for dragon fruit. The fruit is low calorie and packed with fiber, vitamin C, B vitamins, iron, calcium, and phosphorus. It definitely earns the name “super fruit”. They are also naturally vegan, raw, paleo and gluten-free. If you’re looking for pitaya puree, I found it at my local Safeway. The brand I used was Pitaya Plus. One package of puree makes about two pitaya bowls. If buying a Pitaya bowl is more your speed, Sidewalk Juice in San Francisco sells great ones. 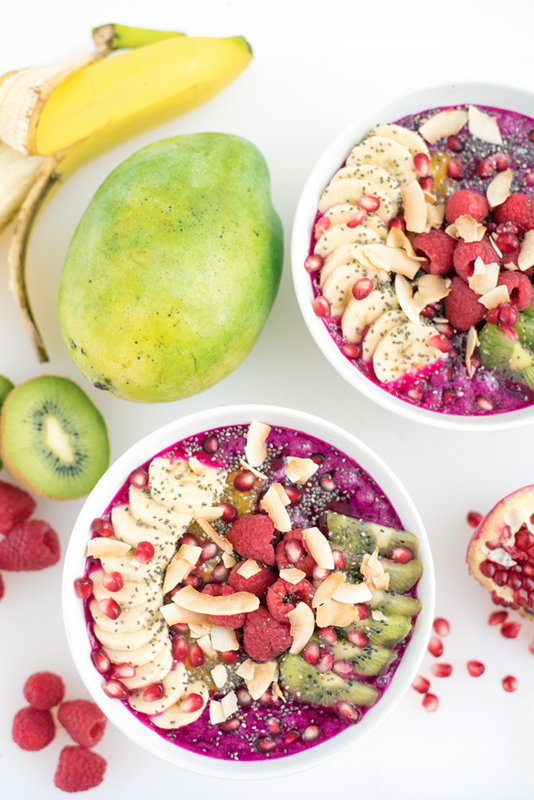 For a guide on where to find the best açaí and pitaya bowls in San Francisco, you should check out this great article by my girl Cynthia, of Cyn Eats. 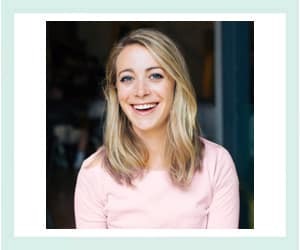 She shares humorous and beautifully-photographed accounts of her experience eating throughout San Francisco. 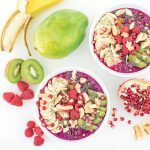 Gorgeous bright pink dragon fruit pitaya bowls are packed with antioxidants and are gluten-free, paleo, & vegan. The recipe makes the perfect healthy snack or breakfast. Puree the pitaya and coconut water in a blender. 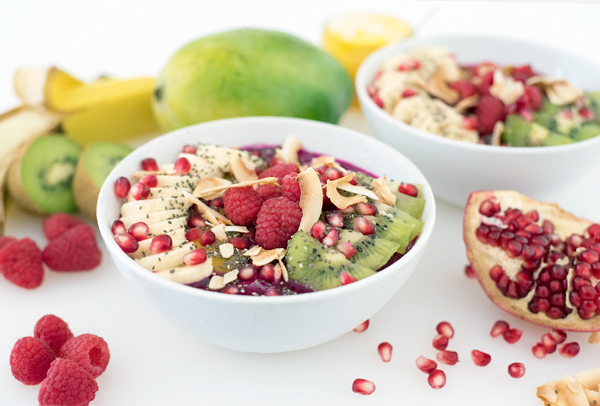 Top with banana, mango chunks or puree, kiwi, raspberries, pomegranate seeds, chia seeds, and coconut flakes. To make the mango puree: heat 1/2 cup fresh or frozen chopped mango in a small saucepan over medium heat until the fruit breaks down and forms a puree. 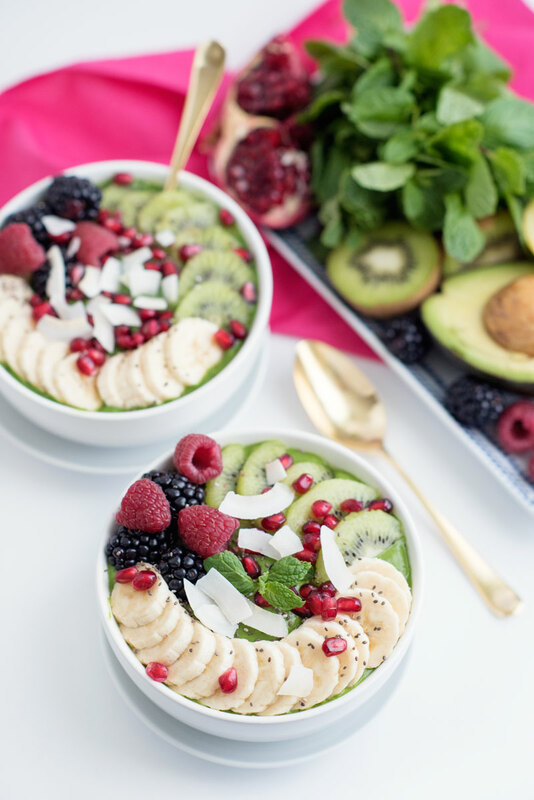 Tip – You can add whatever you have on hand for your smoothie bowls! Try other fresh or frozen fruit, granola, almonds, or chia seeds. I can’t wait to try this!! It’s so much cheaper than going out and spending $10 bucks on a bowl every time. BTW- your photos are always so beautiful! Thanks so much Cyn! They are great for a budget AND for feeling great! You NEED to make this! As long as you let the puree soften a little bit this recipe shouldn’t be too hard on your blender! When I saw you making this on Snapchat I knew it was going to be a good one! So delicious looking and great for this heat wave! What a beautiful post! I *just* heard about dragon fruit bowls yesterday and was curious but didn’t try…but I will next time! Very happy you recommended a few spots since I’m not as likely to make at home. You should definitely try these at home, but Sidewalk Juice is a close second! I really need this for Monday morning. Love the combination of ingredients that you have mixed, Kelly! Thanks so much! You should try it!